This is an older Roadcrafter suit by Aerostich. 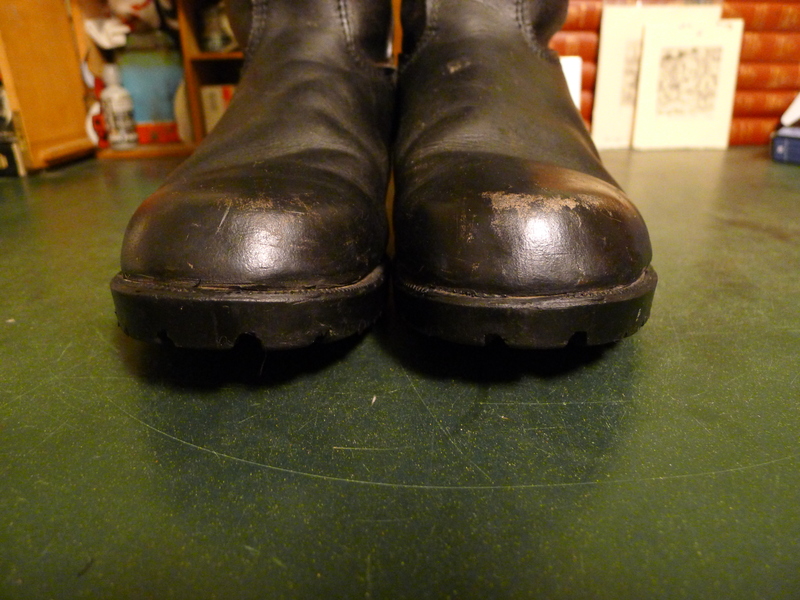 It’s constructed of Cordura and Gore-tex and appears to be the same pattern still in use. The new models bear a Roadcrafter label not found on this one. Aerostich produces some of the finest riding gear available. All pieces are made by hand in Duluth Minnesota USA. The pants bear no makers label, but are believed to be from the 1960s based on the zippers. 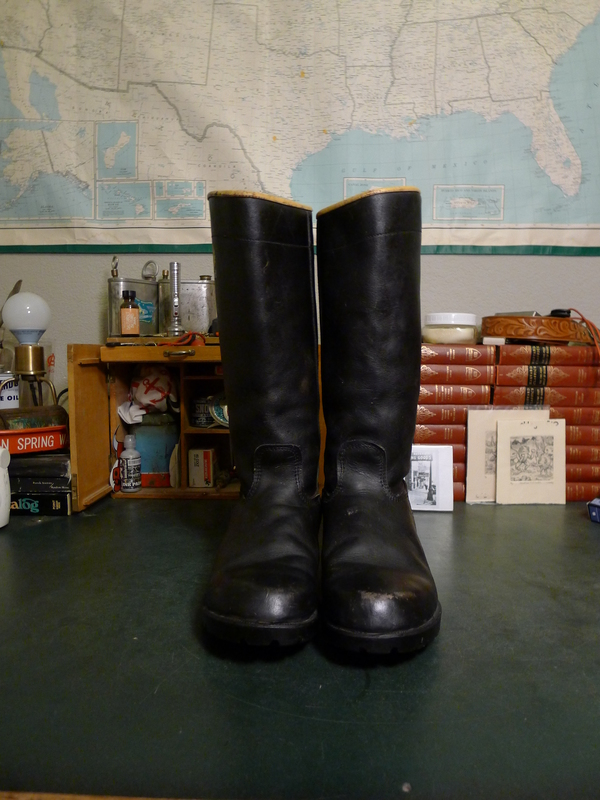 Those are Talon at the crotch and Ideal at the pockets and ankles. Pants feature a built-in belt. 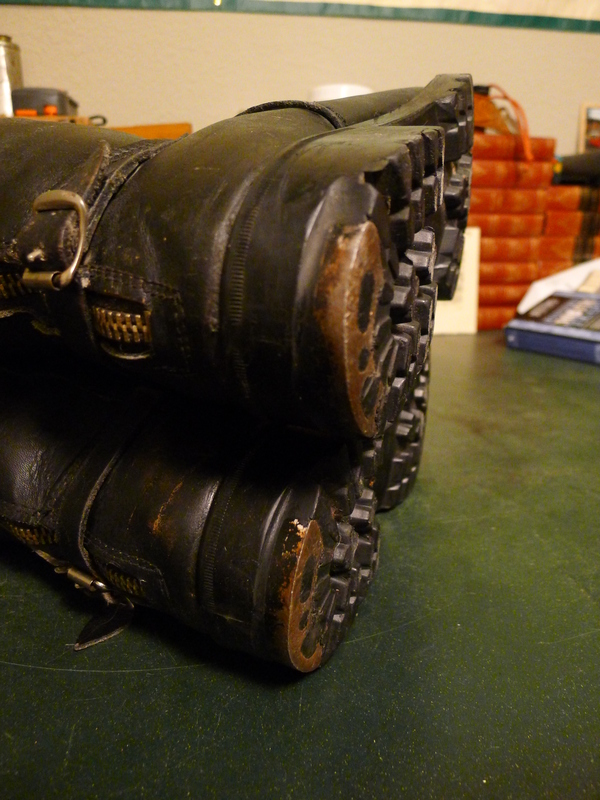 Heavy duty snaps, grommets and rivers. 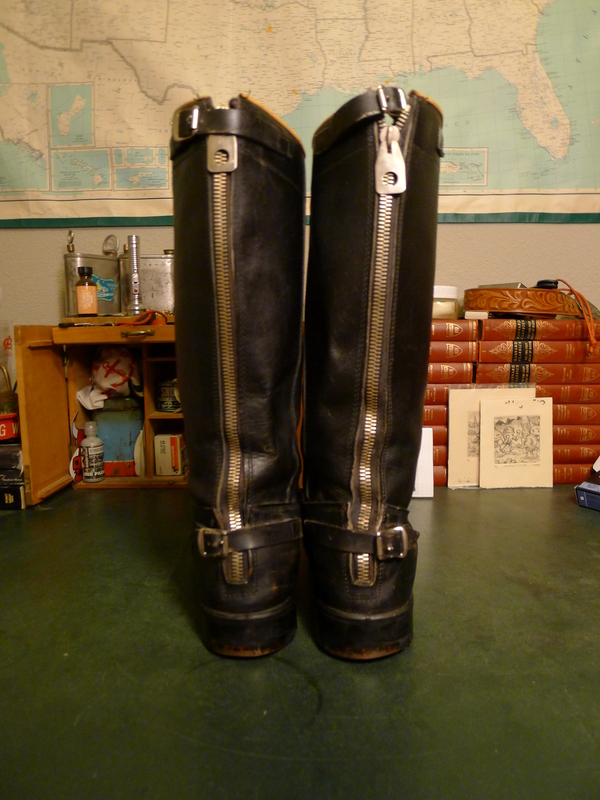 Also has belts around the calfs. Those belts are attached on the back of the leg and free around the front. Pants are unlined with black poly cotton pocket linings. 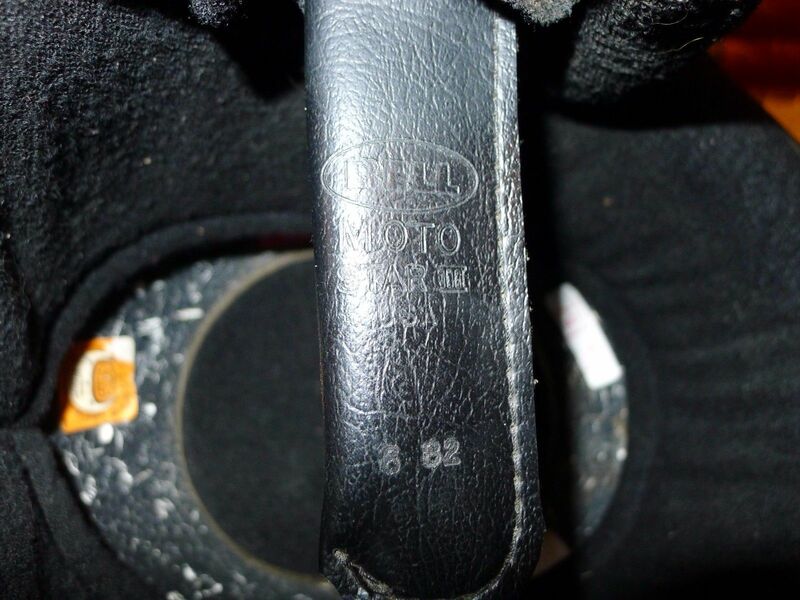 Believed to be top quality steer hide, but possibly horse. 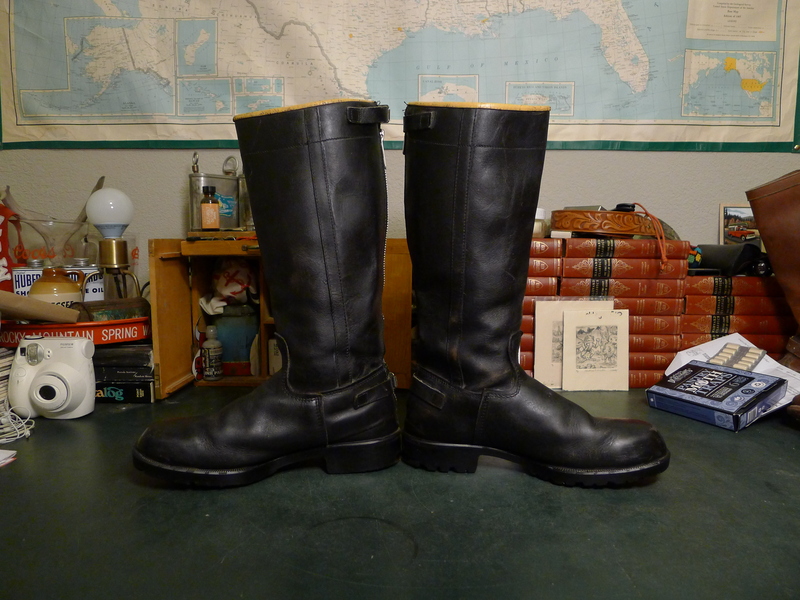 I was hopeful these would be identified as custom Langlitz Leather or Buco pants, but have found little to support either. If anything the hardware used disqualifies them from being Langlitz as another collector told me. If they look familiar please let me know. 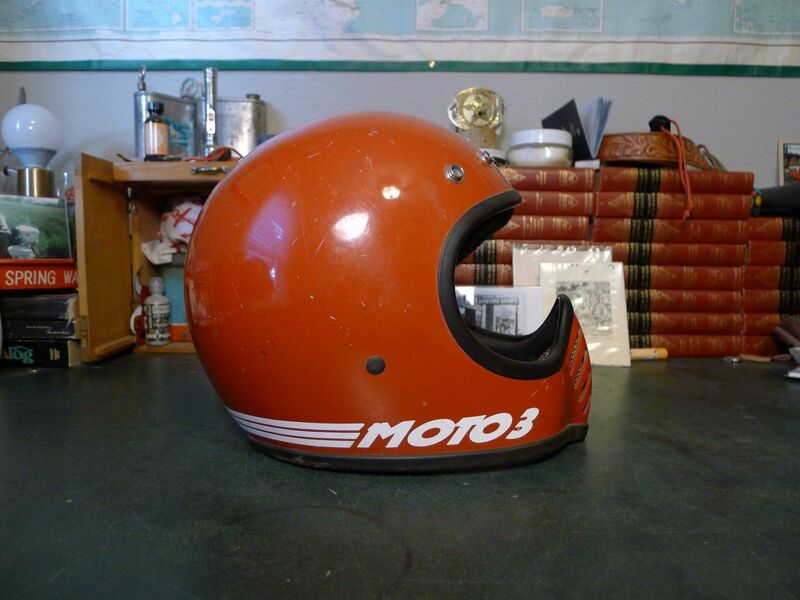 You are looking at a prime example of an original Bell Moto 3 helmet. 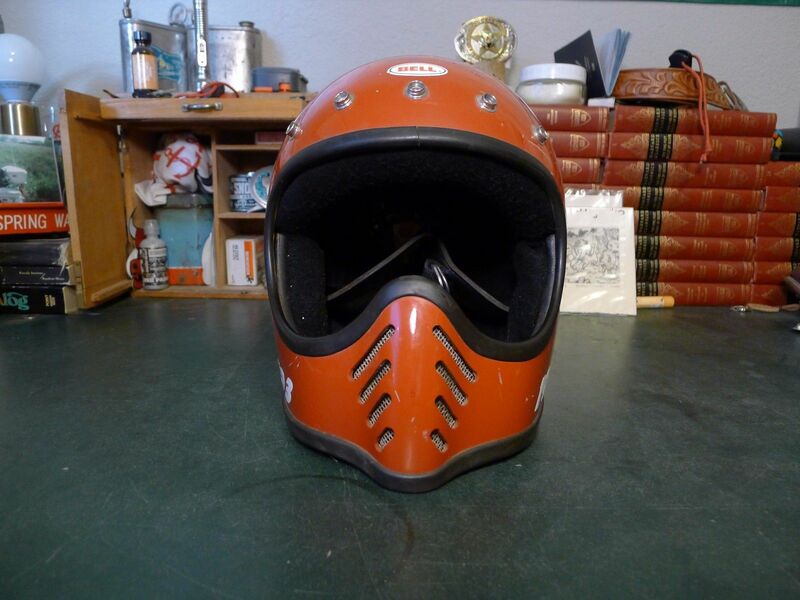 There’s been a lot of buzz around this iconic full-face motocross helmet in the last couple years. 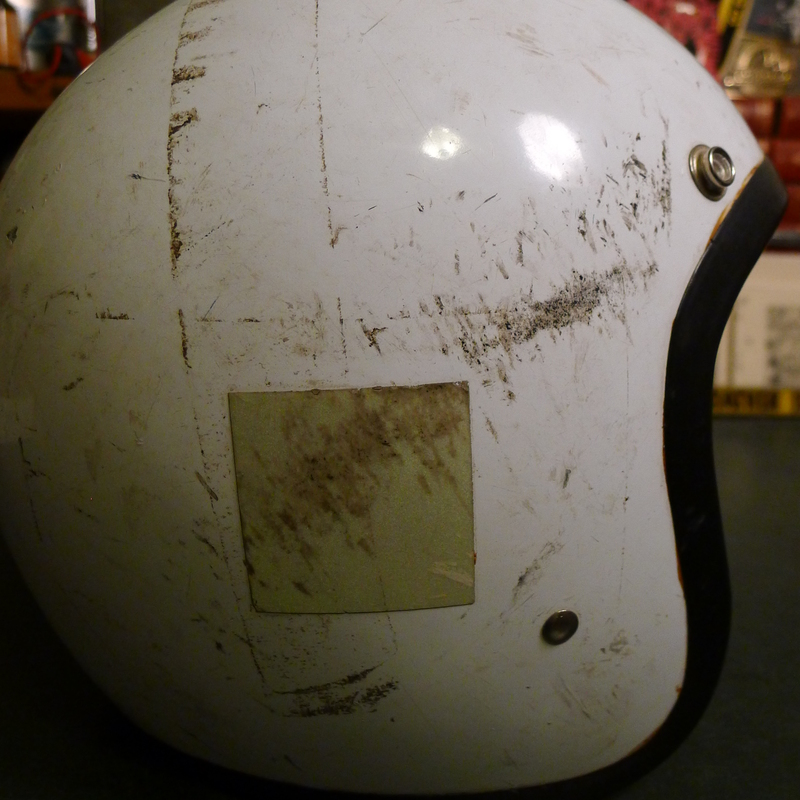 The lids have gained somewhat of a cult following amongst both the chopper and cafe crowds and today, even worn examples like this sell for upwards of $300 on Etsy and eBay. The demand has reached such a fever pitch it’s inspired Bell to reintroduce the design amid a flock of imitators doing the same. The history of the Moto 3 begins with the introduction of the Motostar in the late 70s and continues to present times with a series of numbered iterations. 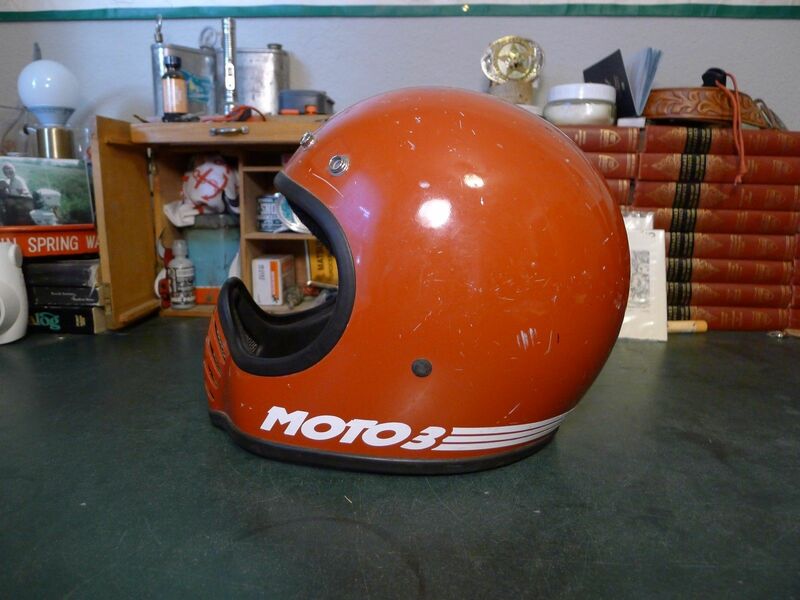 Contrary to what I’ve read, the Moto 3 is not the beginning of the line and was not introduced in the early 70s. 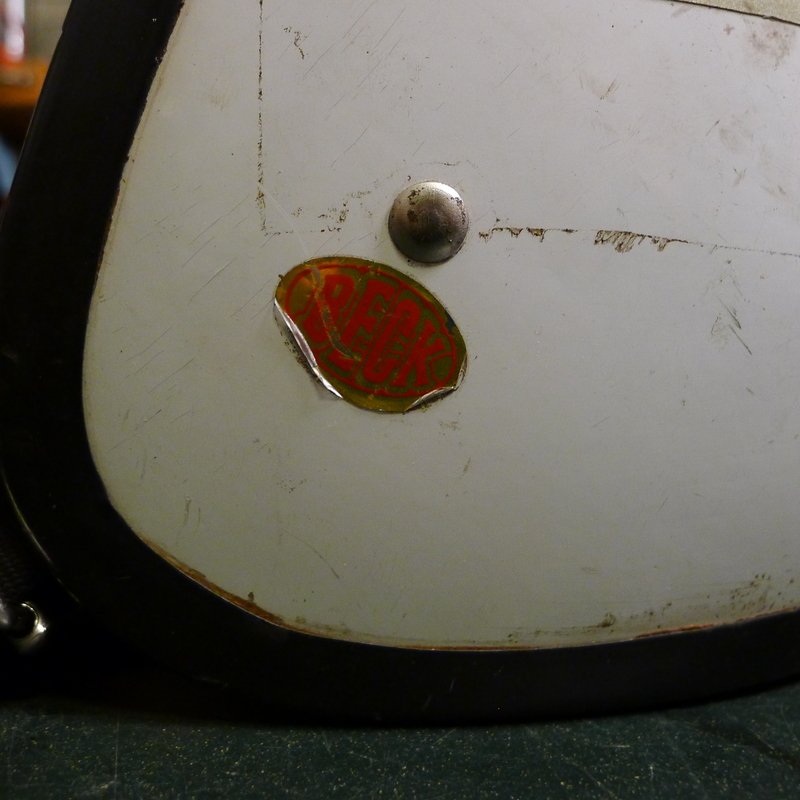 Early Bell helmets (and this goes for some other manufacturers as well) are dated on the chin strap with an embossed or printed month and year. You can see here, this particular example is 8/82. Looking for a cheaper, less cliché full face option to complete your look? Try the Moto 3’s younger brother the Moto 4. Similar in style, the 4 sells for around a third of the price while still offering that vintage motocross look you desire. Wanting something even cheaper and more original? 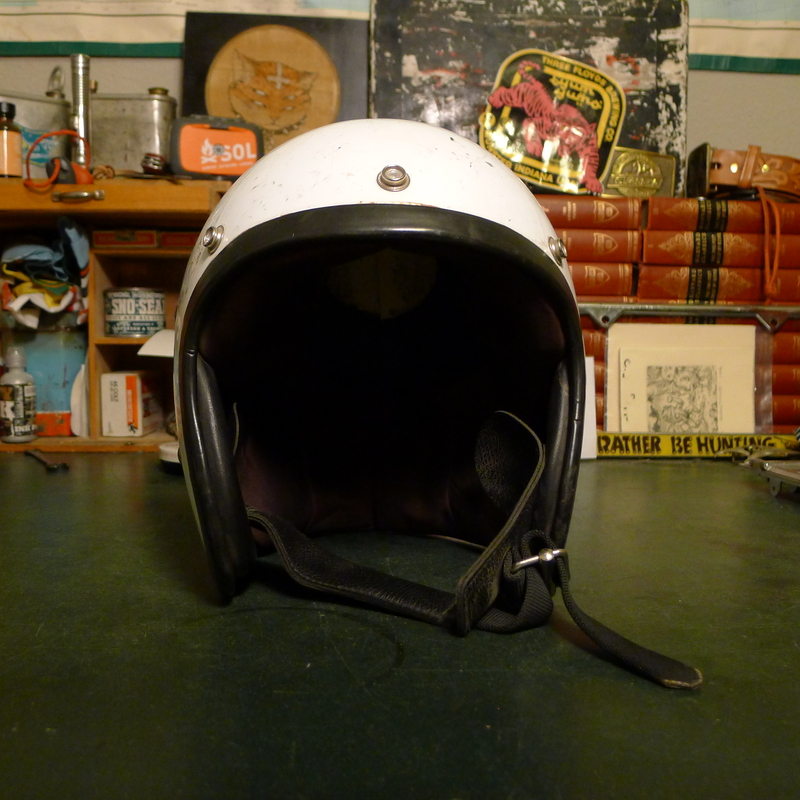 Search for vintage Bieffe motocross helmets. They’re of a more late-80s early 90s aesthetic, complete with awesome decal arrangements and sell for around $30 in good used condition. 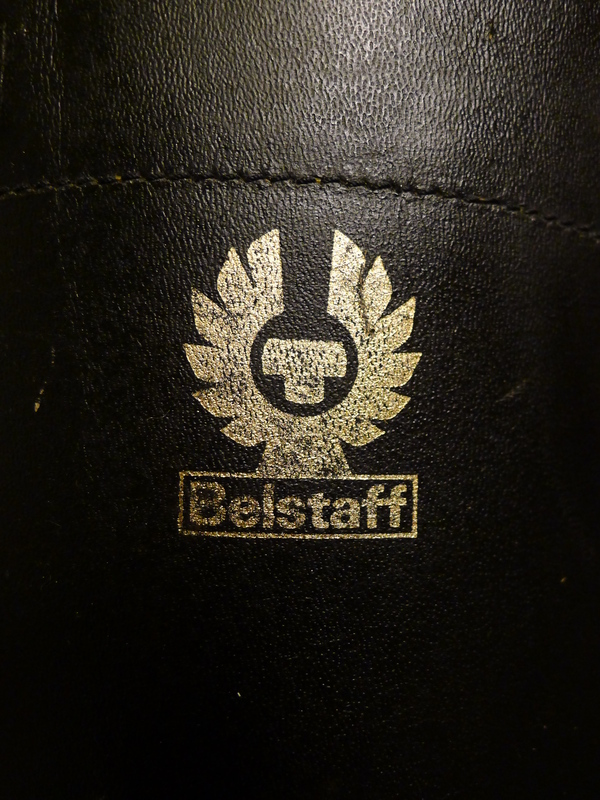 These rare 70s era Belstaff motorcycle boots were crafted in England and probably an expensive import for their day. 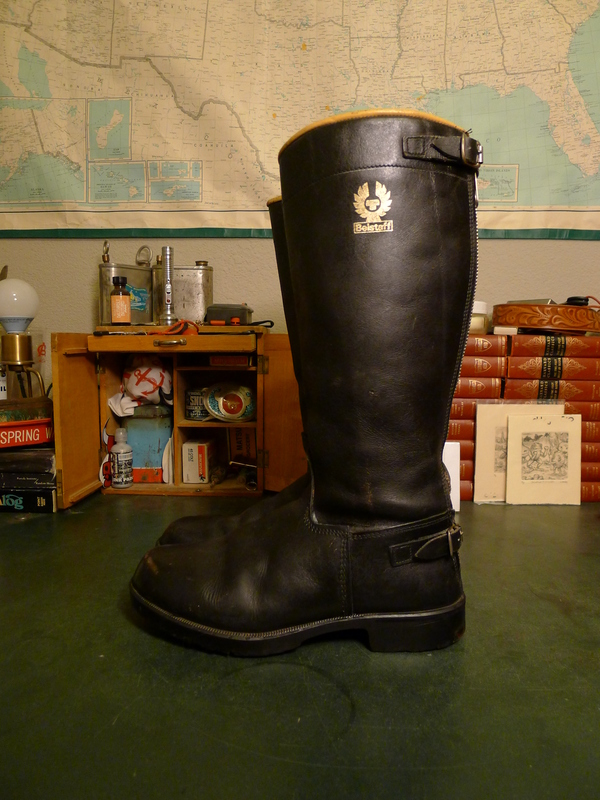 The style is somewhere between a motocross and a road touring boot. 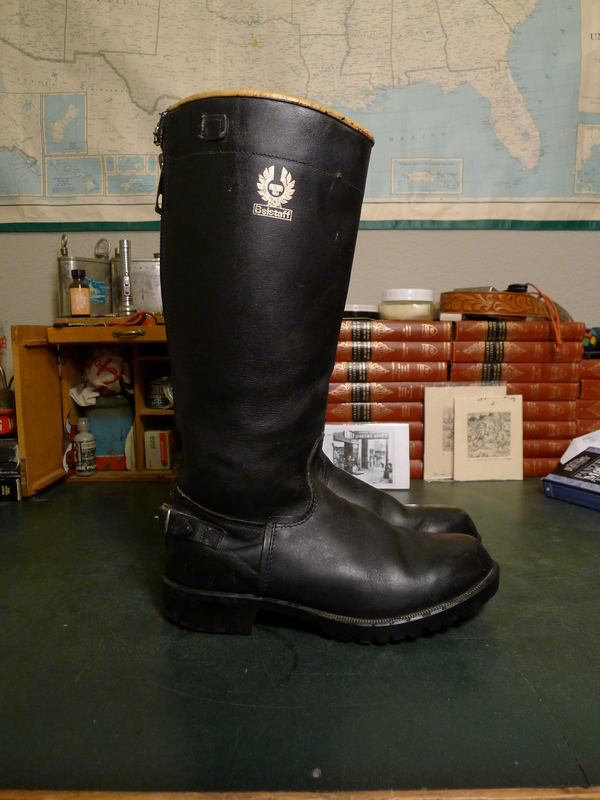 The 15.5 inch shaft (measured outsides as the boots slope down on the inside edge of the shaft) is made easily accessible by the heavy gauge metal zipper at the back. 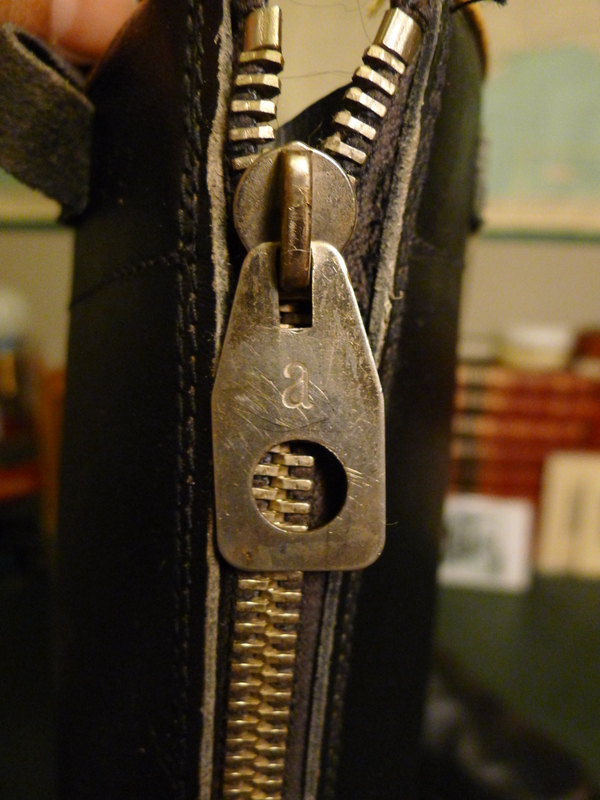 The zipper features a large pull tag ensigned with the letter ‘a’, a maker’s mark I am not familiar with. 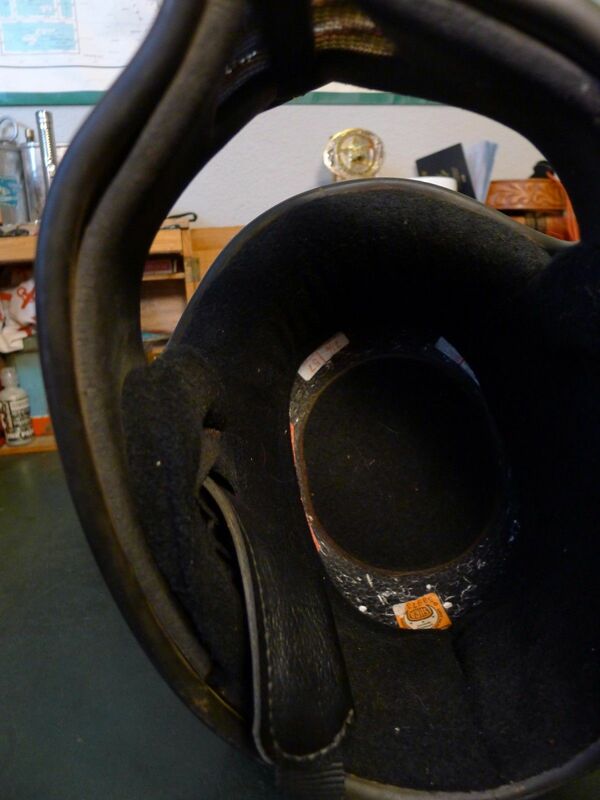 Cinching straps at the heel and top of the shaft allow for a more custom fit. The solid one piece vamp rises high on the shaft for added protection from the road and elements. 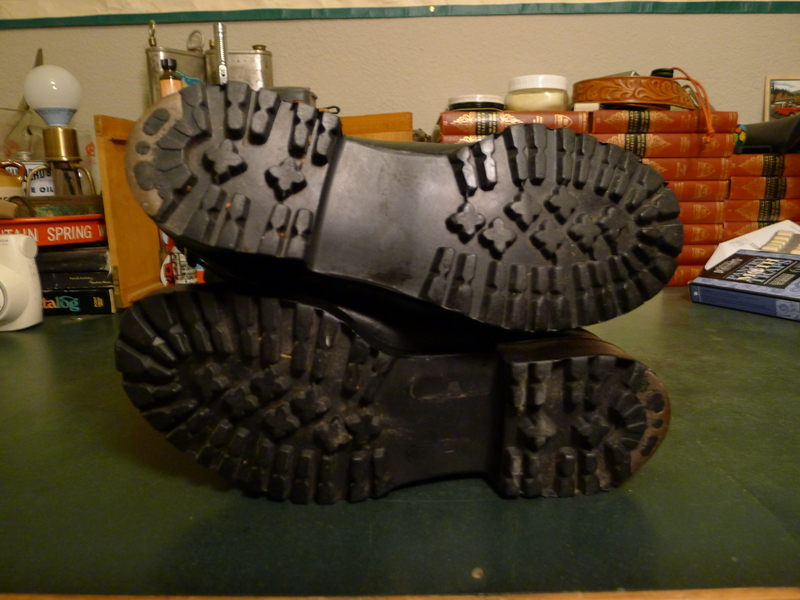 The soles are a heavy lugged rubber of similar style to that of a Vibram hiker, but are unlabeled. The inch and quarter tall heel has a metal insert which appears to have been hand carved and hammered in to prolong the wear and may lead to some show stopping sparks at night if dragged ever so lightly across the asphalt. The top of the shaft is finished with a yellow leather insert that creates a nice finish and compliments the gold Belstaff logo on the outside of each shaft. The Beck Distribution Corp was a pioneer in motorcycle distributing sourcing OEM (original equipment manufacturer) and aftermarket parts and accessories for foreign bikes to suit American rider’s tastes. The company dates all the way back to the early 1900’s. 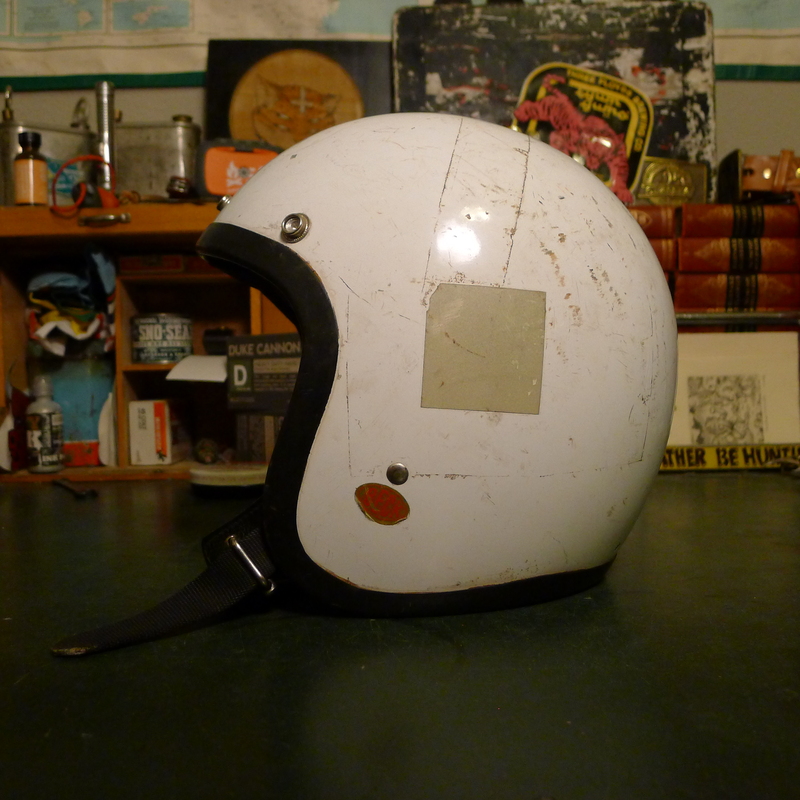 I would estimate the helmet seen here is from the early-mid 1960s, but have yet to track down an exact date or model number. 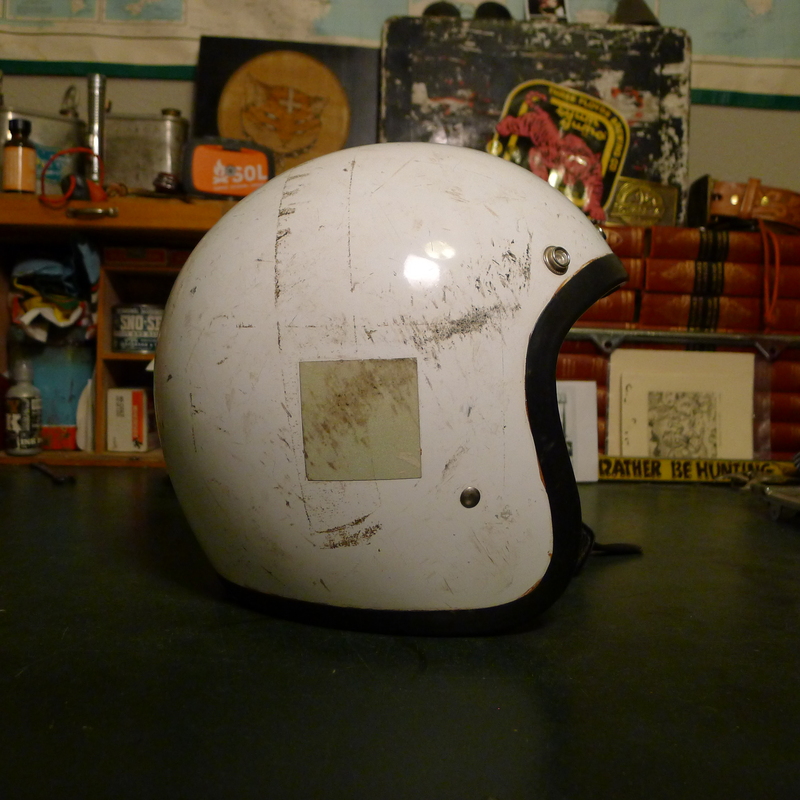 Vintage American Motorcyclist Magazines currently on Google Books gives hints to the popularity of this three-quarter style helmet and the Beck Corp itself during those early 60s. In 1969 Beck Distribution Corp merged with Arnley Brake Shoe Company and the name and logo were changed to reflect that. 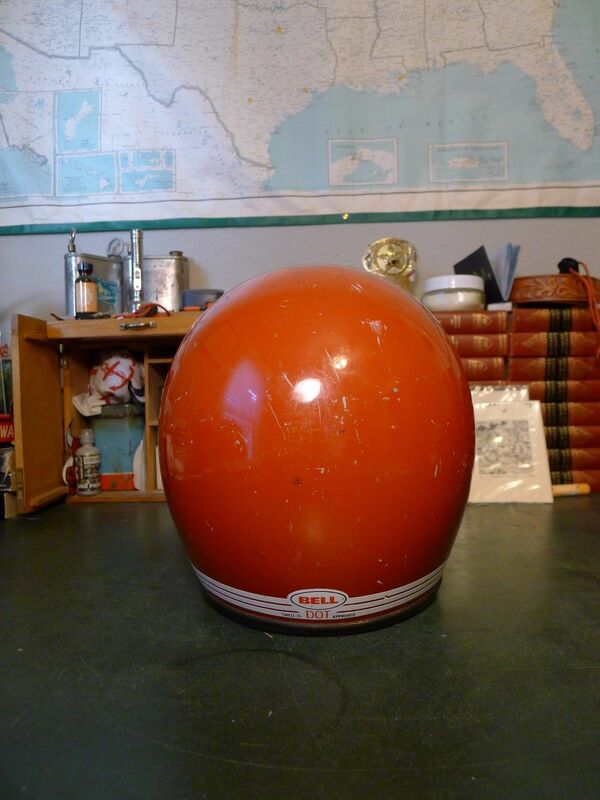 So if anything I can say this helmet is at least pre 1969. 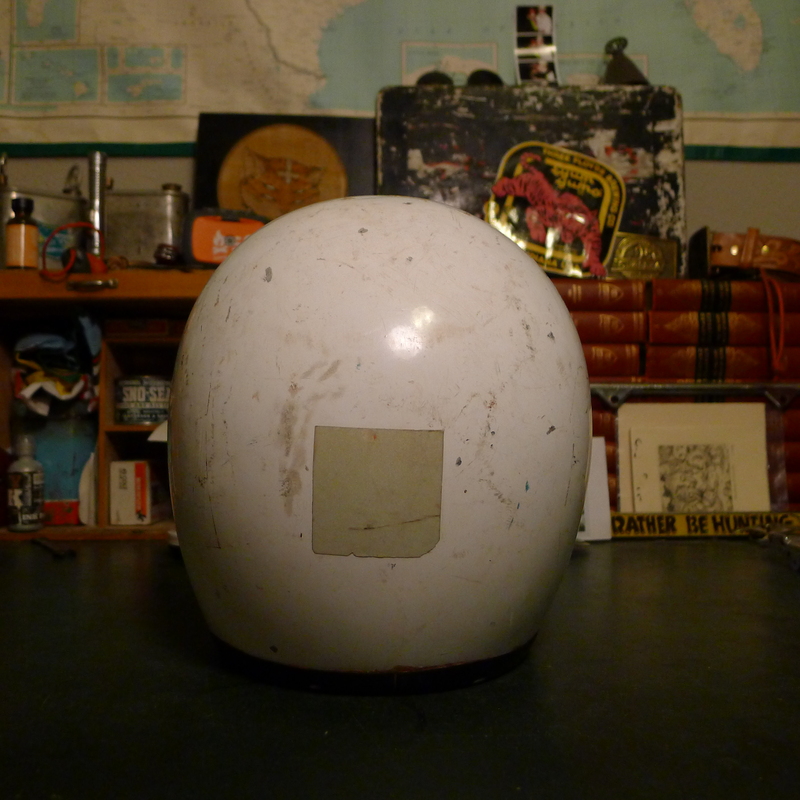 An interesting thing on this helmet is in the liner and foam core. The dense foam core is constructed of two halves instead of a single piece. 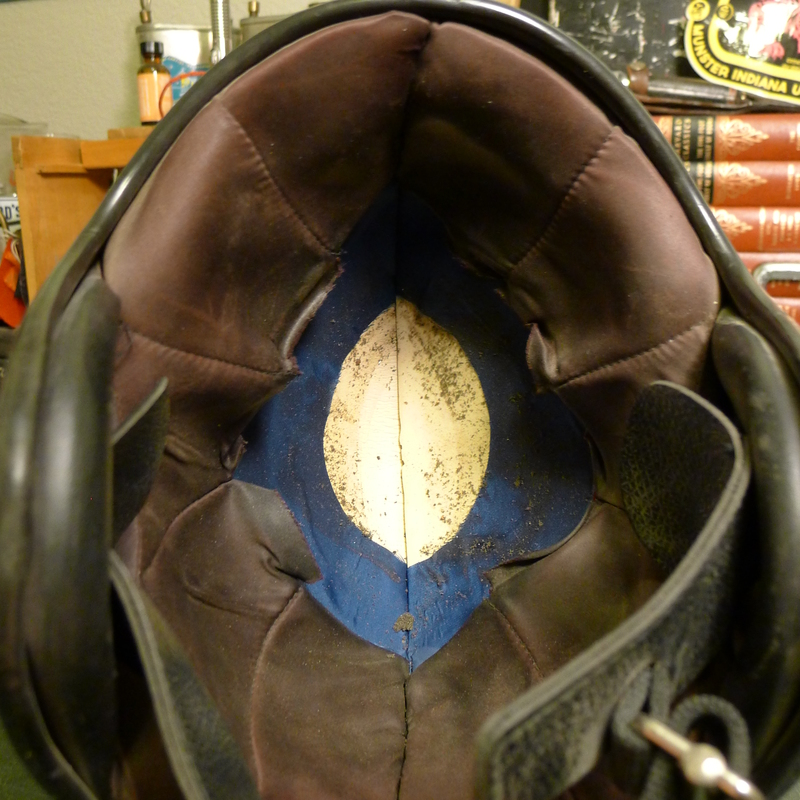 Also the liner that once held the soft comfort foam is made of a nylon material, which gives the helmet interior a nice sort of satin finish, but wouldn’t be very breathable or moisture wicking. It’s evident that later safety improvements replaced some of these designs quirks. 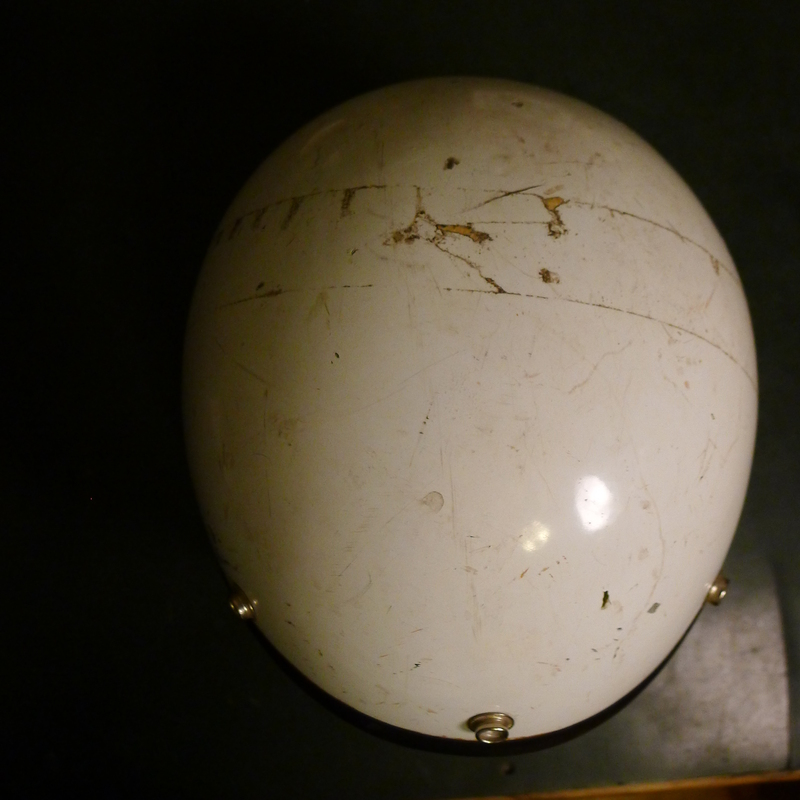 The reflective squares on sides and back are a common addition to helmets of the era. 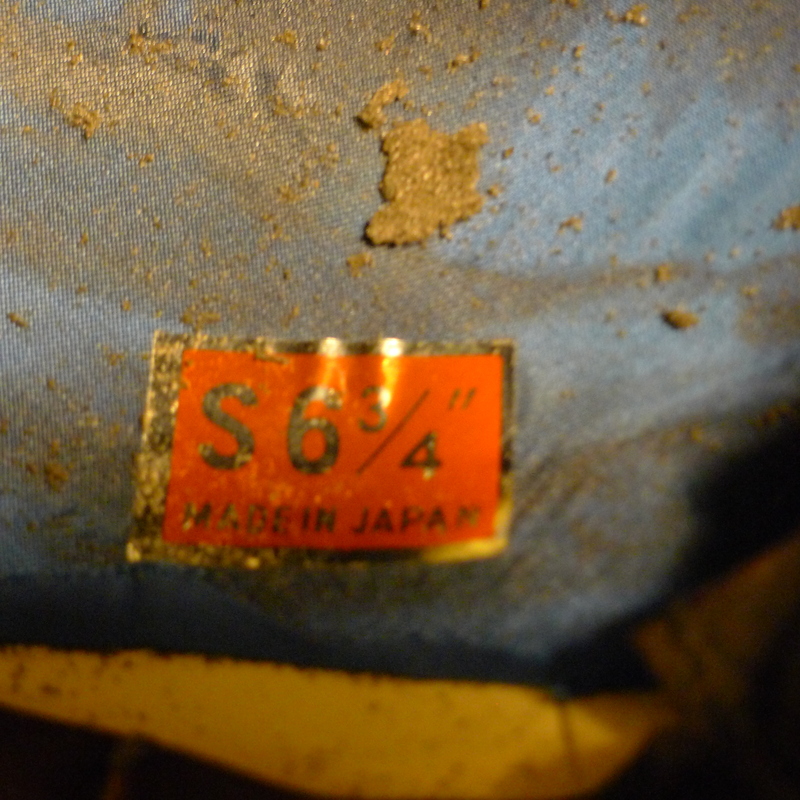 A lone sticker inside shows the size as S 6 3/4″ and Made in Japan. 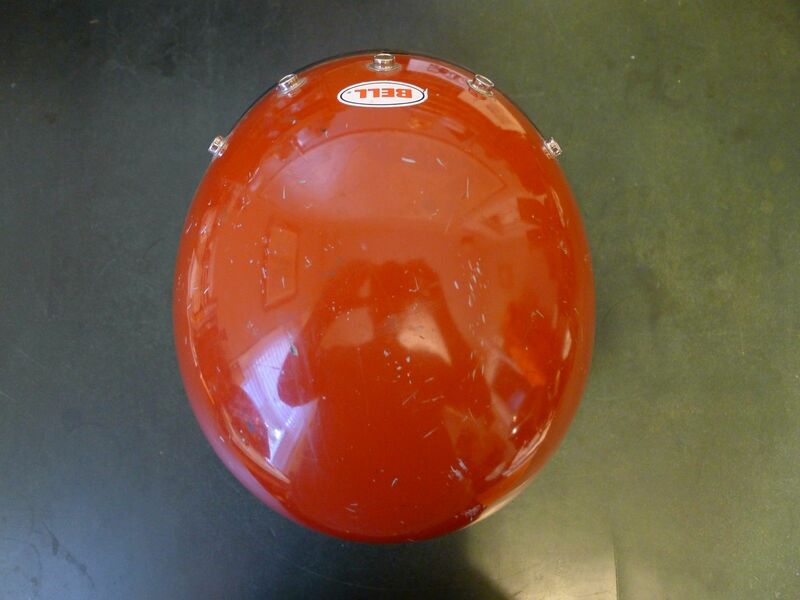 One theory I have given Beck’s business model is the helmet was produced by Arai and then stickered Beck by the distributor, but at this time that remains just a theory. This thick black heavy leather patrolman’s jacket is perfect for those who ride. Unfortunately this jacket has no labels or tags to help define its history, but I can assure you it’s the real deal. Badge holder, Serval zippers, heavy weight leather. It would be really easy for me to say this jacket is horsehide, which I very well might be, but with out a tag to prove it, I’ll stop short of that claim. I don’t have the expertise to say for certain. 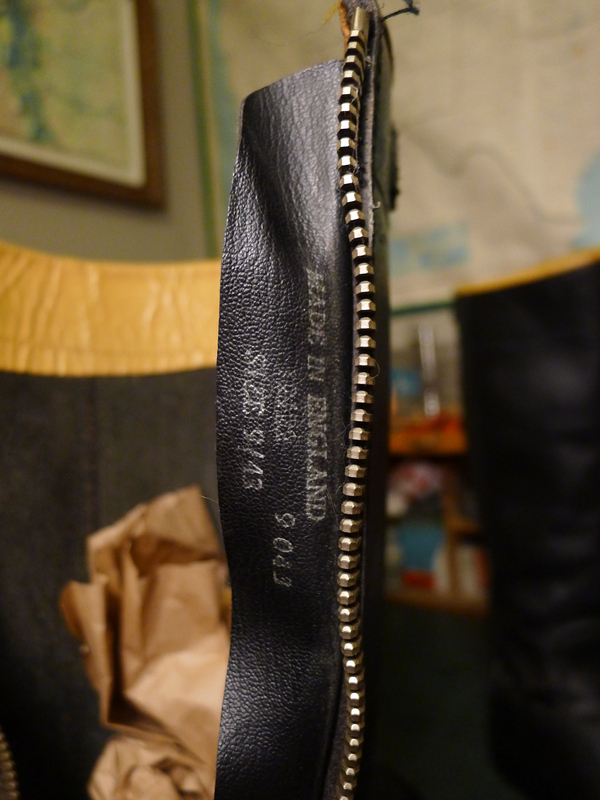 I have some jackets in my collection marked horsehide and others that are not and depending on the tanning process they can be very similar. This jacket has a nice black satin liner in near perfect shape. Two had pockets and one inside pocket both lined with heavy cotton. Side lacing for a custom waist fit. Interestingly it is void of belt loops around the waist. Has snaps for a fur collar mount and black shearling lining the zippered wrists to keep the cold out. Really nice shape for its age. a couple off-black spots near the badge holder. Visible if you’re looking for them. Also a little wear around the insides of the cuffs. 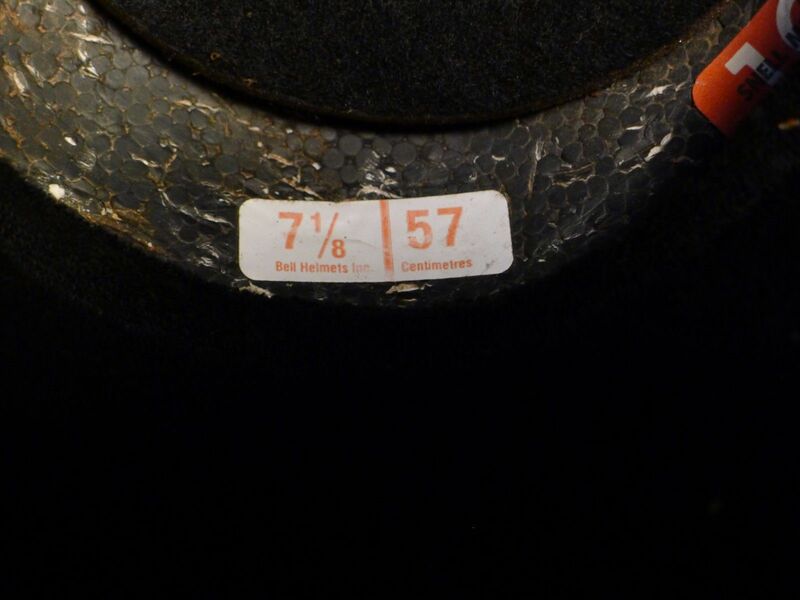 No size tag, but measures out to about a 42. See measurements below.